"Mutilation Rag" is one of the main songs found in Beck's Song Reader project. It is an instrumental. Sheet music had a lot of instrumentals, and often they had bizarre names. Beck borrowed the title from older piece of sheet music (as well as adapting the artwork. 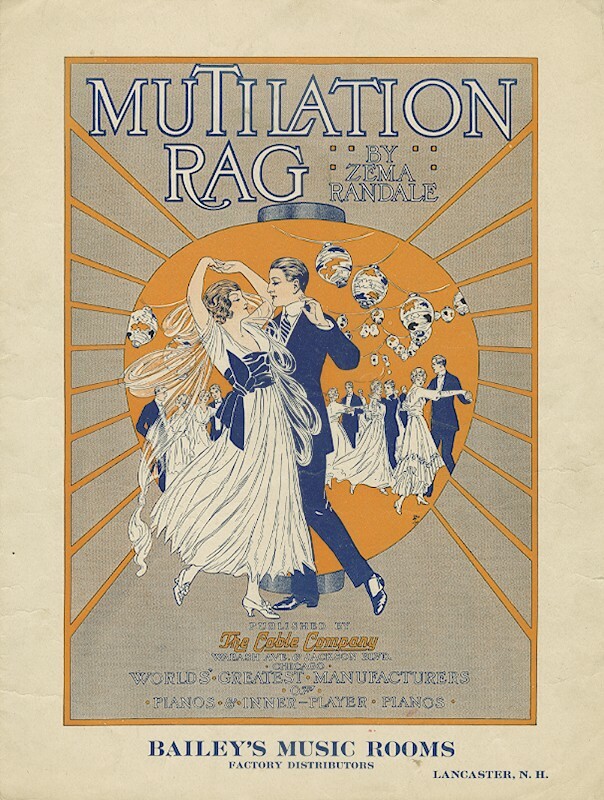 As a side note, this older "Mutilation Rag" was written in 1915 by a 15-year-old. This link calls it an "extraordinary composition" which mutilates Rachmaninoff's Prelude, Op.3, No.2. I do not know musically if Beck's piece mutilates an older classical piece (that seems to have been a genre of sheet music in the early 1900s).